Since 2011, Los Angeles has increasingly become the most traveled to city in the United States. According to the Los Angeles Times, for the seventh straight year, Los Angeles County has set a record for drawing big-spending tourists. The county hosted 48.3 million visitors in 2017, a 2.2% increase over the record 47.3 million tourists in 2016, according to Los Angeles Mayor Eric Garcetti. Tourism not only indicates increase spend for our city, but thus creates discovery of Los Angeles businesses. Therefore tourists establish fascination and appeal to features of Los Angeles, which build continual interest to revisit. A tourist will shop and eat like there is no tomorrow. What better destination to visit, then the center attraction of Hollywood, The Beverly Center. Beverly Center welcomes visitors from all around the world and is embarking on a $500 million re-imagination that will transform every aspect of the iconic fashion destination. Over 100 premier stores, and 10 top culinary attractions the Beverly Center for decades has been an iconic fashion destination regularly shopped by locals, international visitors and those who influence celebrity style and popular culture through their work in the entertainment industry. Food Flaunt, gives you an LA point of view on how to eat like a foodie and shop like a manic in 12 hours at this tourist destination. Yardbird Southern Table & Bar, and owned by John Kunkel has one of the best brunches in town. This restaurant is located on the street level, and makes you feel like you are not at a shopping mall. 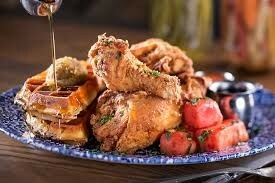 Yardbird has destinations in Miami, Las Vegas, Singapore, and now, Los Angeles. This new location will offer their best dishes, including steaks, egg-centric brunch dishes, and classic fried chicken. The Brunch is not to be missed. Start your shopping spree by filling up on salted caramel waffles, crab cake benedicts, avocado toast, or try their biscuit menu. Now that your belly is full, walk those calories off and enjoy the Beverly Center interiors and continual evolution of the merchandise mix among the 8 floors of shopping. 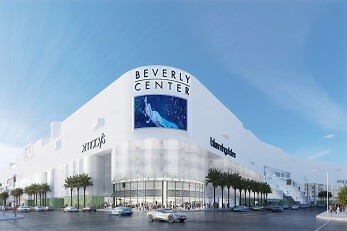 The Beverly Center combines luxury, contemporary and fast fashion retailers for an unparalleled shopping experience. The Beverly Center has affordable shops such as; XXI Forever, H&M, and Zara. The Bloomingdales and Macy’s have some of the cities best offerings and sales. There is something for everyone. The Beverly Center has all you need for a day at the pool, or a night on the town. Look close as there are some LA boutiques you have never seen before within the 8 floors of shops. Shopping can be exhausting, head to the 8th floor and take a break. 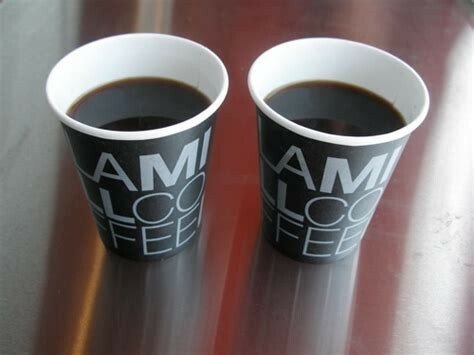 Lamill Coffee will surely wake you up! Lamill Coffee is an award-winning specialty coffee roaster headquartered in Los Angeles. Their coffee and tea are served in more than 300 locations throughout the US and in select countries around the world. The cornerstone of our business is our Coffee Care program, which combines the 5 key elements necessary to produce the best cup of coffee possible: beans, water, equipment, training, and maintenance. Ask for the Americano, you will thank us later. One thing about traveling and shopping is buying that special something that is worth the splurge. This piece is something you can say, “I bought this in LA.”. The Beverly Center may be the only destination in Los Angeles with high end luxury stores all under one roof. Gucci, Louis Vuitton, Prada, Balenciaga, Fendi, Dolce & Gaabbana are the obvious. However, there is a new MCM store with your name on it. We love their backpacks, and totes. Stores such as APM Monaco, L.K. Bennett, Henry Bendel, or Traffic are not at many locations in the U.S. Purchasing something here may have been worth the flight or forgotten fashion piece. There is just so many new locations at the Beverly Center to choose from. As the beloved Los Angeles Food Critic once said- “Many may travel to LA for a brief period of time, there is just too many pockets of LA to taste.” He is right, LA has quickly become recognized for its innovative chefs bringing the US some of the best food trends. For instance, Easy’s Diner located on the 6th floor, brought to us by Jeremy Fall who reinvented breakfast for dinner in Los Angeles with his two locations Nighthawk and Tinfoil. Easy’s features classic diner fare with a revival of the popular burger pop-up from Chinatown, Easy’s will offer an all-day food and cocktail menu. 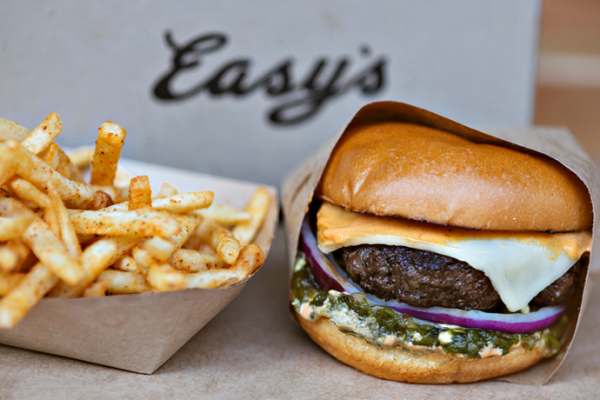 Easy’s is where you dine for the burger you will rave about when you return home. 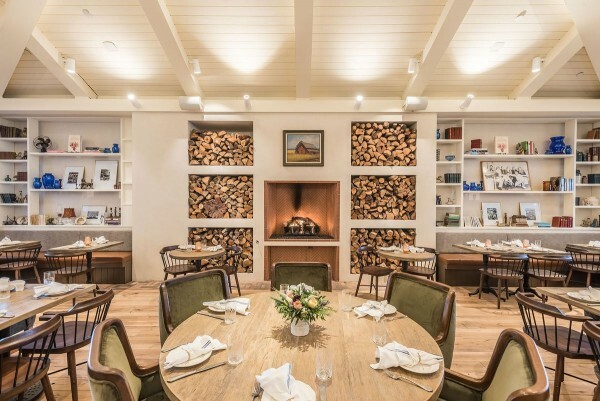 If you are looking for a more formal lunch head to the street level to Farmhouse, led by Nathan Peitso, a farmer who redefines the traditional restaurant model by working directly with the region’s top farmers to grow, harvest, and create dishes. The menu features seasonal farm-traceable “seed-to-plate” cuisine that showcases ingredients at their peak each month, as well as responsibly farmed meat, poultry, and sustainable seafood hand selected by Peitso. This is the destination most would say “So LA”. Try the beer battered halibut sandwich or the Grilled Chicken and Avocado Sandwich. As if you have not eaten enough or spent all that is left in your wallet, you can not return home without a present for that special someone. Take a stroll through the mall and head to level 1 to the ROOM. This is almost like your private shopper, or concierge. Here you can learn about all LA has to offer. The Room can tell you where to visit in LA, and what attractions not to miss. Also pick up a gift card from any of the following brands; Amazon Fire Stick, Amazon Gift Card, AMC Cinemas Gift Card, Apple iTunes Gift Card, Atom Tickets Gift Card, and many more if you are unsure what to bring back. Coming Soon! Whether you are at the Beverly Center to shop or visit, the best time of the day is always Happy Hour. Head over to the Street: A Michael Mena Social House. Chef Michael Mina’s food hall featuring a bustling collection of talented chefs, unique food stations, local products, cocktails and lively environment. Culinary experiences are carefully curated by Chef Michael Mina and will each offer a delicious menu driven by the chefs’ passion for the food they love to cook and eat. Located on the 8th floor, sit down, throw your shopping bags over a chair, and have a glass of bubbly while you enjoy the spectacular panoramic views of the Hollywood Hills and downtown Los Angeles from THE STREET. As there is so much to choose from, our dinner recommendation is Cal Mare at the Beverly Center. Cal Mare pays homage to the coast of Italy and Southern California from Chef/partner Adam Sobel in collaboration with Chef Michael Mina and MINA Group. The restaurant celebrates the best of coastal Italian cuisine while featuring California’s bountiful ingredients as the menu highlights seafood as well as fresh handmade pastas and brick oven pizzas. With a mouth dropping open kitchen, indoor/outdoor seating, open floorplan, and private dining areas available, the mission is to transport guests to a place of bliss and happiness through truly delicious food and creative drinks with an approachable and convivial ambiance. The menu comprises of mostly charcoal-grilled fish, crudi, and lighter Italian cuisine, leaving guests feeling nourished and energized. 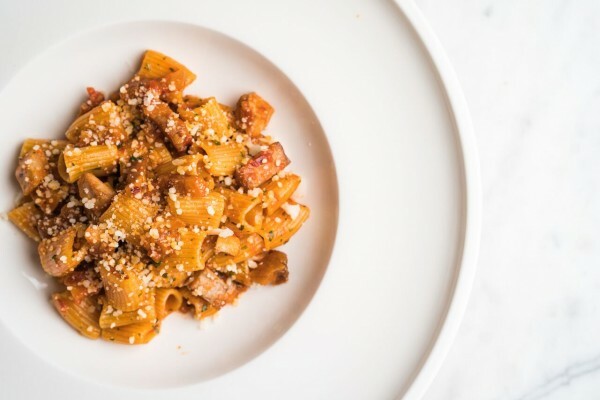 We love the Rigatoni All’ Amatriciana Di Mare, which serves 6! So call your Angeleno friends who live in the city, tell them you are in town and meet you at Cal Mare. You can now leave one of Los Angeles greatest attractions knowing you completed it whole heartedly and with a satisfied appetite. Food Fanatic & Mixology Maven. I enjoy writing and discussing all topics liquor, beverages, and food for all.